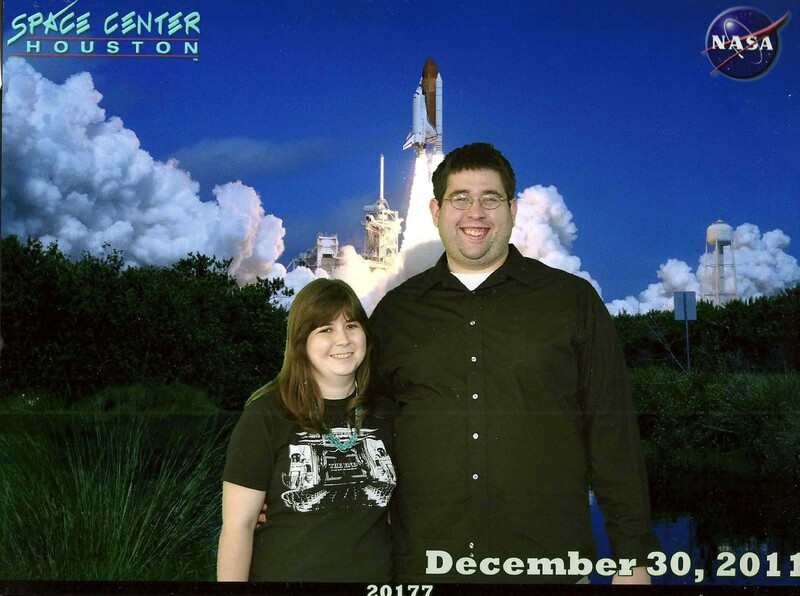 Last year I took Josh to Space Center Houston while we were in Houston visiting my parents. Space Center Houston is the visitor center for the Johnson Space Center. The space center was built in the late 1980’s with help from Walt Disney Imagineers. The center combines a museum and tour of the actual facility with a great kid-friendly design inspired by Disney. I lived in Houston in the early ’90s when the Space Center opened and we went a lot. I was a huge space nut as a kid and we went to Space Center Houston 3 or 4 times in just 3 years. I even went to a Girl Scout Lock-in (which was sooo awesome!) Josh and I didn’t take very many pictures, partially because I’d been there a bunch of times and partly because we just wanted to enjoy our time there. Space Center Houston has not changed much since the 1990’s. I think the biggest change was the addition of a lot of children’s activities. There is a huge play place by the entrance to the museum and the entire floor space is taken up by a variety of activities and games. We didn’t go in the play area but we did play many of the games and activities. Josh loves those kind of things and he couldn’t resist. We were there about 6 hours but we managed to get almost everything done.I gave Josh a guided tour of the museum, we walked through the mock-up of the space shuttle, and we watched one of the IMAX movies. We were even able to go on both of the tours! One thing that we both found interesting is that we were required to have our pictures taken before we were allowed on the tour. This is for National Security as JSC is still an active facility. However, Space Center Houston has also found a way to turn this into a money making venture by selling the pictures. The pictures were a hoot with us green-screened into a bunch of funny space backgrounds! The first tour we went on was the tour of the training facilities and Rocket Park. 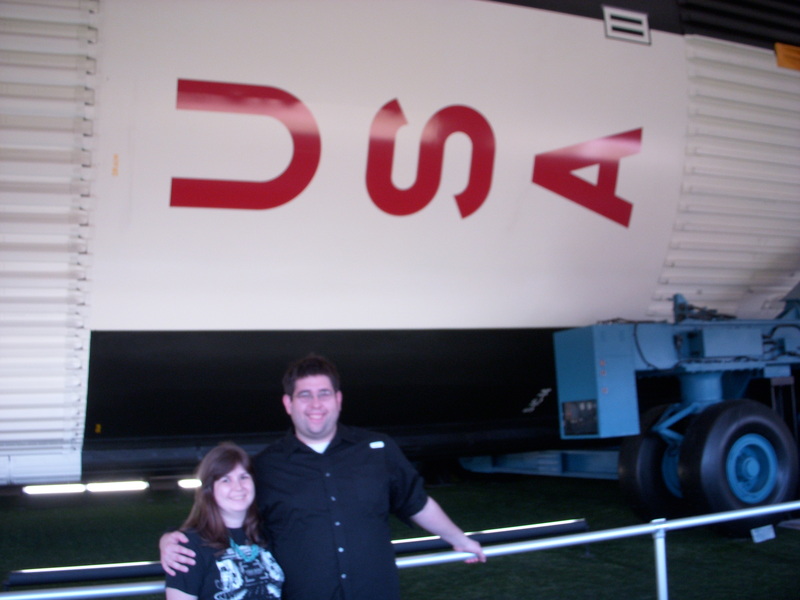 This is the tour that I went on almost every time I visited JSC in the past. But I was cool with it because it is really neat. You get to see modules where astronauts train for their missions. You used to see the pool where they simulated zero gravity with neutral buoyancy. I was slightly disappointed because the trams now have a recorded commentary track where in the past the tram driver would tell us a bunch of interesting facts. After seeing the training facilities, we were dropped off in Rocket Park. This area had a bunch of different rockets for us to look at, including one of the 4 remaining Saturn V rockets. I have actually seen all 4 of the rockets. There are two in Huntsville, one in Florida and one in Houston. I guess now I need to start visiting the 4 surviving space shuttles. Surprisingly, JSC lost out on getting one of the space shuttles. I was really surprised to find that the rocket has been restored, repainted, and a building was built around it to help preserve the rocket. 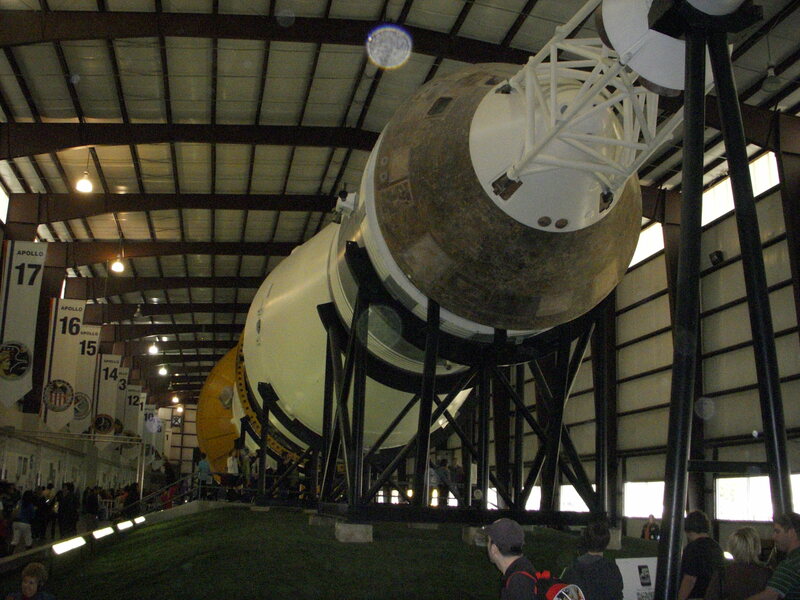 The JSC facility is much more like the building that houses the Saturn V rocket in Florida. 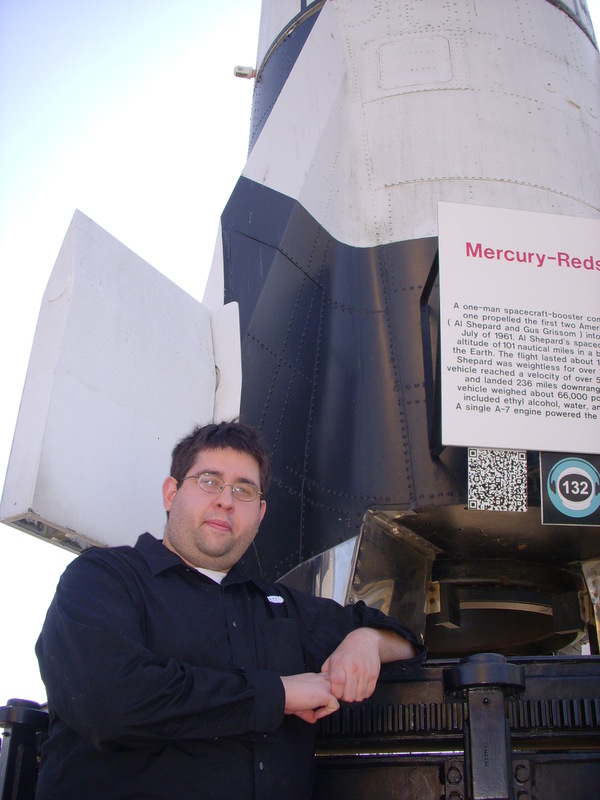 I was also interested to discover that the rocket is technically only on loan to JSC from the Smithsonian! I had never been on the second tour! The tour takes you through Mission Control. When Space Center Houston opened they advertized that you would be able to tour Mission Control while a mission was taking place. However, they quickly realized it was a bad idea and never allowed people to take the tour when there was an active mission. Now that JSC is not an active mission control facility the tour is a go! I was super excited and had a great time. (Though I think I knew more space facts than the tour guide…) It was awesome to see some of the rooms where Mission Control would monitor spaceflight. I had previously only seen these rooms on TV! Josh and I had a really great time and would definitely visit again. It was a little crowded when we were there but we were still able to get a lot done.